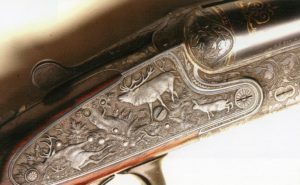 A double rifle made by Johann F. Timpe. Photo coutesy Fredrik Franzén. Following is a list of the Archive pages. 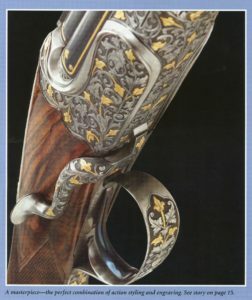 These pages contain all of the information on that Dealer or Maker that Dietrich and I have at the present time. Additions to any page will be made as more information comes to light. Click on any name to go to that page. 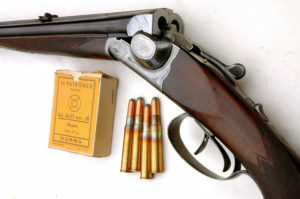 A Richard Schüler double rifle. Photo courtesy Fredrik Franzén. 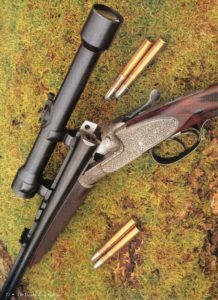 A Burkard Behr double rifle. Photo coutesy Fredrik Franzén. 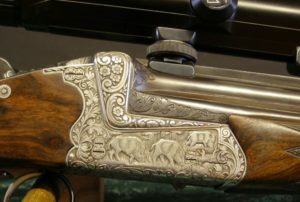 Importers & Gunmakers of Broadway, N.Y.
A Burkard Behr double shotgun from the German Gun Collectors Association Calender of Jan. 2015 and courtesy of the Assoc. 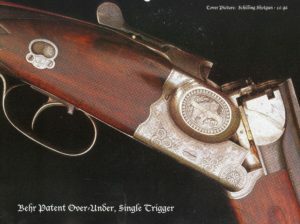 Jaeger, Paul- Jenkintown, Pa., U.S.A.
A sample of the work executed by Philip Ollendorf and coutesy of the magazine Shooting Sportsman. 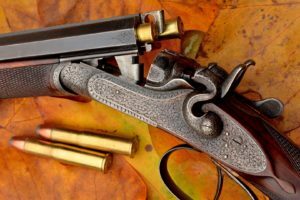 Schüler, Richard & the August Schüler Co.
A R. Bessel & Sohn Bock double rifle courtesy of Fredrik Franzen. 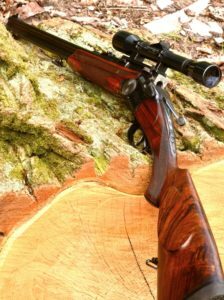 Suhl- History, Old Photos, Notgelds, Etc.